In my mum’s lounge room, a large window looks out onto the street. Like many elderly people, she likes to sit and watch the world go by from the comfort of her armchair. She knows when neighbours go out and when they arrive home. She knows who regularly walks their dog and whose children skateboard down the hill. When she can longer be as active as she used to be, Mum loves looking through the window and observing what others do. But there are other types of windows that we can look through. Windows that are not physical but can help us see ourselves more clearly. In 1955, psychologists Joseph Luft and Harrington Ingham constructed the Johari Window. It is a simple tool they developed to further self-knowledge and understanding. It is one method, among many, that we can use to develop awareness, particularly of ourselves. The Johari Window consists of four quadrants in a square, each with a name and a meaning – Arena, Façade, Blind Spot and Unknown. In the Arena or Open quadrant lie the things that an individual knows about themselves and which others also know. This is an area of real openness. As we look through this window quadrant we see aspects of ourselves and our lives that we happily share with others – our Facebook and Instagram profiles sit happily in the Arena quadrant. The second quadrant is the Façade or Hidden area. Looking through the window of the Facade, we see the things a person knows about themselves but that others do not know. This quadrant is a private space known only to the individual. This may be area in which hang the skeletons in our closet. However, there is another aspect to the Façade. In this square also lie the things that a person believes about themselves that may not be true. We all see ourselves through the lens of our particular viewpoints. For example, we may want to be seen as the life of the party, so we act in an outgoing manner when, in fact, we may be much more insecure than we let others see – or acknowledge to ourselves. The third quadrant is the area of the Blind Spot, where there are things that others know about a person to which that individual is blind. When we are looking through this window we find that here lie aspects of our character or personality that we either cannot see or we refuse to acknowledge. An extreme example of this may the narcissistic personality. Those who are in relationship with narcissists are very aware of their behaviours. However, when a narcissistic person is confronted with either their actions or attitudes, they deny that they are like this in any way. The final square is the Unknown, in which lie those things that are unknown to both a person and to others. In this quadrant are things such as a natural ability that a person doesn’t know they have or takes for granted; an ability that is underestimated or untried due to lack of opportunity or encouragement; an unknown fear; or some type of conditioned behaviour or attitude developed in childhood. Looking through the window of the Unknown can be the most fruitful for understanding who we are and why we do things. One writer suggests that a goal of using the Johari Window is to increase the size of the Arena square at the expense of both the Unknown and Blind Spot quadrants. This means that as people become more aware of what is happening in their Unknown and Blind Spot areas they can then bring those attitudes and behaviours out into the open, into the Arena, for others to know and connect with. Doing this can not only result in a greater knowledge of self but, when this increased and perhaps even new knowledge is shared with others, greater interpersonal intimacy and friendship can ensue. There is great joy in knowing ourselves better and in allowing others to know us better as well. Although it may feel quite confronting to share our new knowledge with others, once we have done so there is an amazing sense of freedom and release, as we no longer hide from ourselves nor from others. The Johari Window is very helpful in raising awareness of why we do the things we do. It is useful in helping us understand why we make the decisions that we do. As we look through the Unknown window – usually with the help of an objective observer – we begin to see the patterns that make up the course of our everyday interactions and decisions. We start to see how unconscious factors drive our lives. 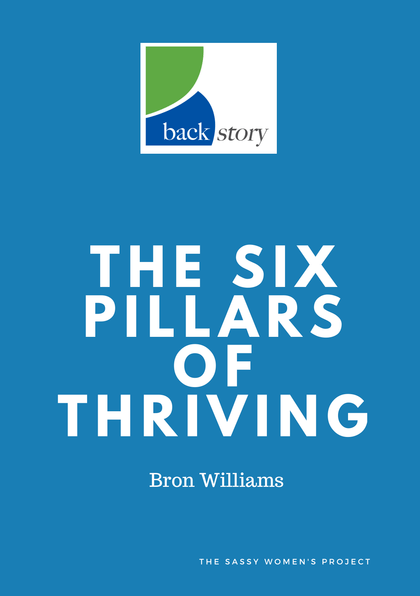 We also realise the power of our backstories – power to anchor and power to move forward. As our awareness of the impact of our stories grows, we are then able to change thought patterns, attitudes and behaviours that have limited us and kept us from achieving all that we might want to. The awareness – this ability to know, to acknowledge and to appreciate – is the key to growth and maturity. Awareness – it is more than 50% of the game of life. Are you wanting to find out more about what is in your Unknown window? Would you like raise your own awareness levels? Leave your details below to register for a 30-minute Discovery Session – completely FREE and absolutely confidential.